You are here: Home / Hearing process / Delays / Episode 59 – What Does it Mean When the Judge Continued my Case? Episode 59 – What Does it Mean When the Judge Continued my Case? In this episode I answer a question from Cheryl, who used the “Send a Voice Message to Jonathan” button on this site to contact me. Cheryl wants to know if it is a positive or negative sign that the judge continued her recent hearing so she and her lawyer could obtain additional medical records. She also wants to know how long she may have to wait for a reset hearing. If you have a comment about my answer or about hearing continuances, please post your comment on Twitter, using hashtag #ssdradio59. 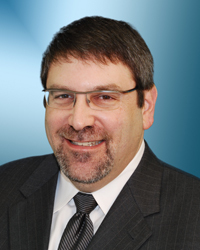 Jonathan Ginsberg represents clients in disability claims filed with the Social Security Administration. Would you like your Social Security disability question answered on Jonathan's podcast? Record your question for Jonathan directly from your computer. Hi Mr Jonathan my name is Celia Young I fell on my job September 20th 2017 injury to my back my shoulder and my head I have not been able to go back to work the doctor has released me on like restrict duties but my job will not let me come back on restrictions because I’m a school bus driver and now I’ve had a IMP and they’re telling me to apply for disability because my injury’s would not let me ever go back to drive a cdl bus is what I’ve done for over 25 years and I’m 55 years old and I have applied for my disability and I was denied twice how do you advise should I get a lawyer at this time Sir…. Do You Have a Social Security Question for Jonathan?